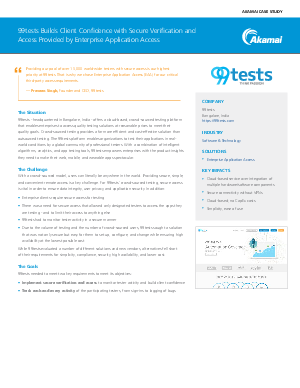 99tests offers a cloud-based, crowd-sourced testing platform where users can be anywhere in the world. Providing secure, simple, and convenient remote access was a key challenge. Read the case study to see how the Akamai helped 99tests provide simple, secure access to their application.